If this funky piece of furniture doesn’t convince them to put their clothes away, nothing will! Getting kids to pick up their clothing off the floor truly is an age-old battle. No matter how you approach the problem at your house, it can’t be denied that the bedroom clean up is always easier and faster when everything has a home. 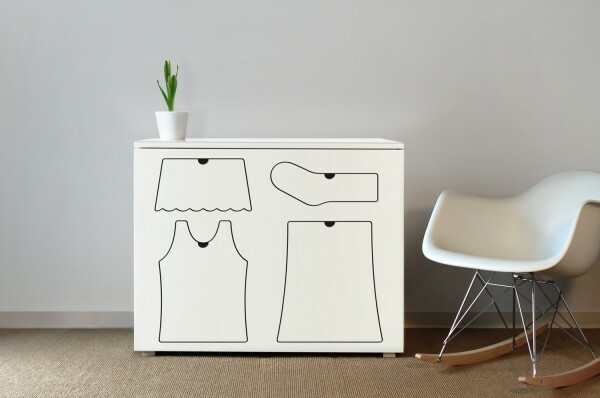 This striking Training Dresser from US designer Peter Bristol comes in versions for boys and girls, and while it may not cover every clothing possibility, it will certainly steer them in the right direction. The dresser is made of plywood and will set you back US$1500. Contact Peter Bristol directly for purchasing and shipping enquiries. Let’s face it – we have to clean up bedrooms so often every day – why not inject a bit of fun into it?